Home / world / Labor inspectors won’t raid homes. Labor inspectors won’t raid homes. The Ministry of Labor would only inspect companies and not private homes, it said in a statement issued on Saturday. 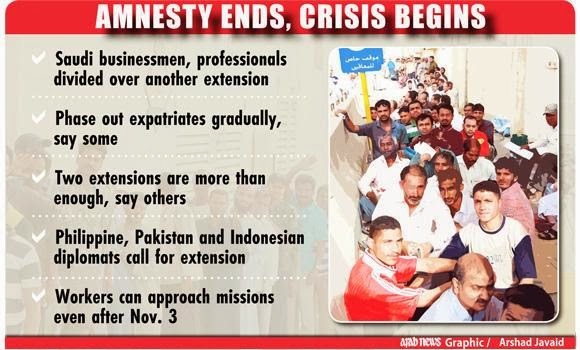 This assurance comes in the wake of rumors that government ministries plan to raid the homes of citizens and expatriates looking for illegal workers on Monday, the day after the amnesty ends. "The ministry does not intend to organize campaigns to inspect homes with the help of women officials," said Hattab Al-Enezi, the ministry's spokesman, in the statement. Expatriates and citizens have every right to stop inspectors from entering their homes, he said. Al-Enezi said Interior Ministry officials would be looking for expatriates without valid residence permits, while labor officials, with provincial committees, would check for violations of labor and Saudization rules in line with regulations issued by the Council of Ministers. Al-Enezi said inspectors must introduce themselves and show their identification cards if they want to enter a company's premises. They should also explain to company owners how they plan to proceed and what information they need. He said inspectors are not allowed to abuse employers or employees and say anything that would damage a company's reputation. They are empowered to speak to employers and employees individually or in a group, on any matter related to the implementation of regulations, he said.